Tim Brewer Tree & Stump Service safely removes trees on residential and commercial property that can no longer remain in place. When you have property — roofs, gutters, windows, treasured landscaping — that needs to be carefully preserved, our experience and ability to remove trees in small sections makes us a great fit for the job. 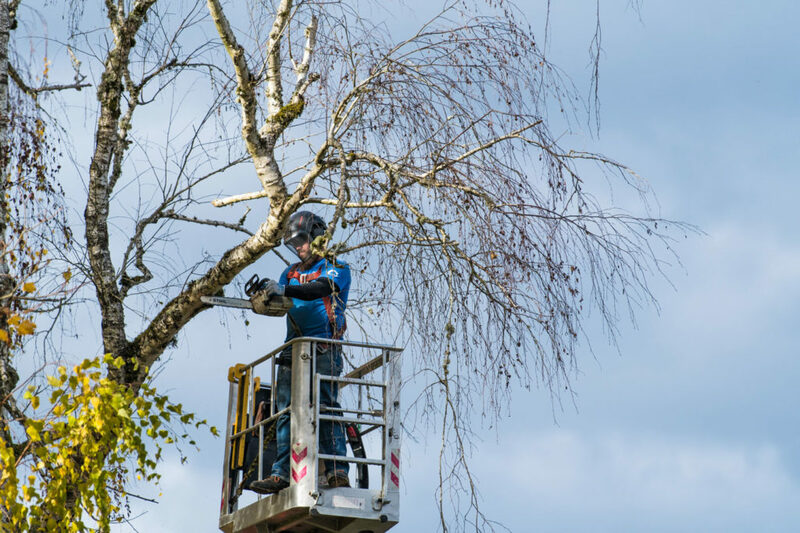 We use the latest equipment and safety gear, including our unique spider lift that can go nearly everywhere, to access trees in even the most challenging locations with minimal damage to your yard or commercial landscaping. Plus, we pride ourselves on offering the best cleanups in the business, so you won’t have any remaining mess to worry about. Tree trimming or pruning is part skill, part art. Our certified arborists provide quality trimming for all types of trees. 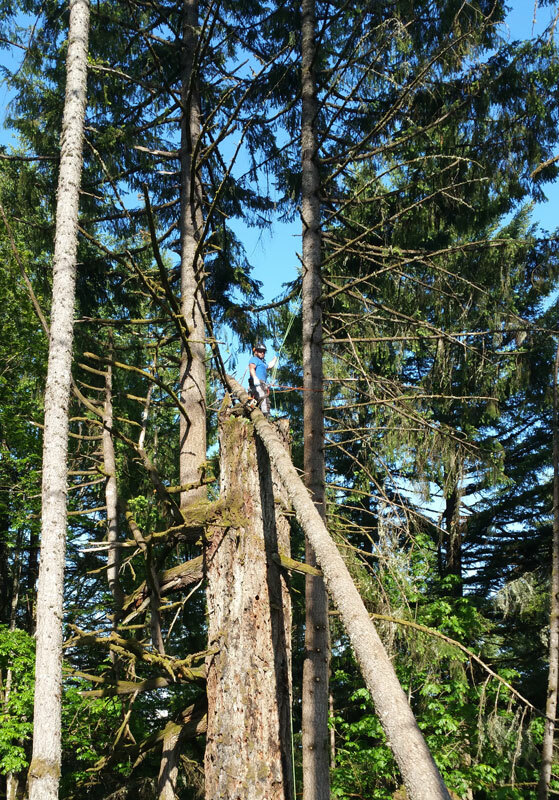 Different species require different techniques, and we have the experience and knowledge to competently trim both native and non-native trees in the Corvallis area. 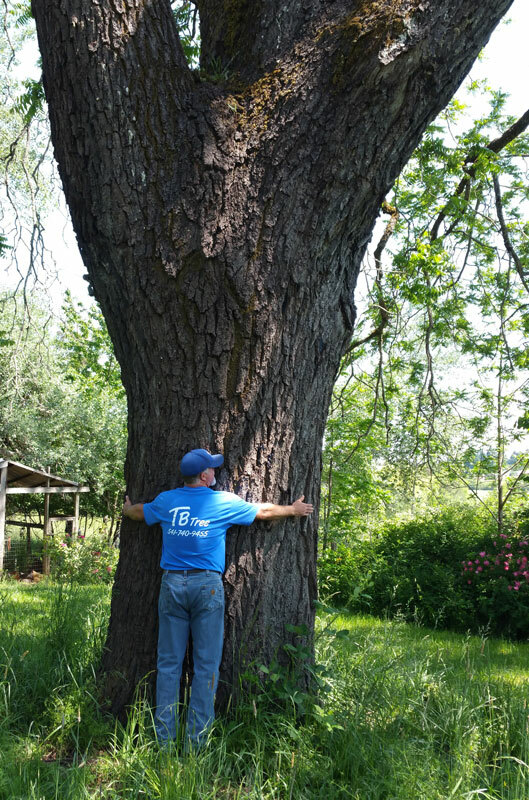 Do you have a heritage tree like an oak or a maple — sometimes called a veteran tree — that’s starting to show signs of age? We have the experience to preserve these old trees. 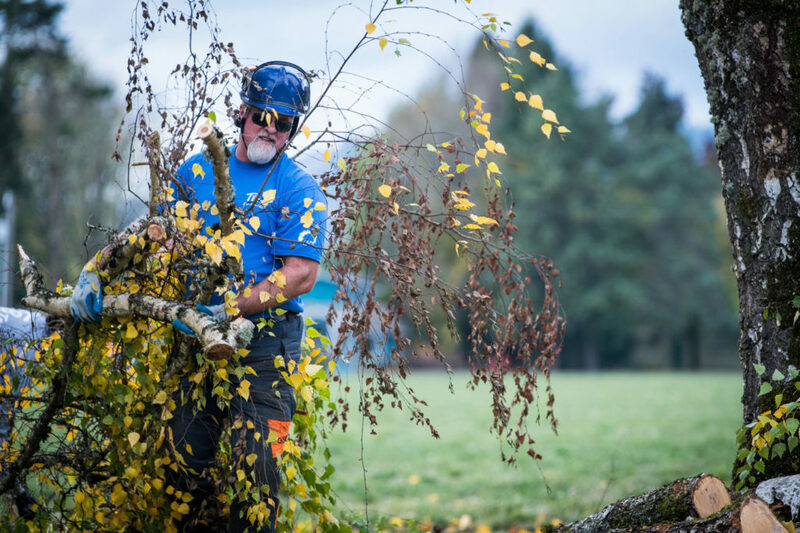 If you’ve lost limbs or full trees during a Northwest wind storm, we’ll handle clean up. We do our best to respond quickly to storm damage. We offer free estimates on all of our services. Contact us to set up an appointment for an estimate. We are not able to provide estimates over the phone.